The magic of the harp is unique. It offers a sensational visual and musical combination. As experienced harpists we can offer you all the advice and guidance you need to bring this wonderful instrument to your event. 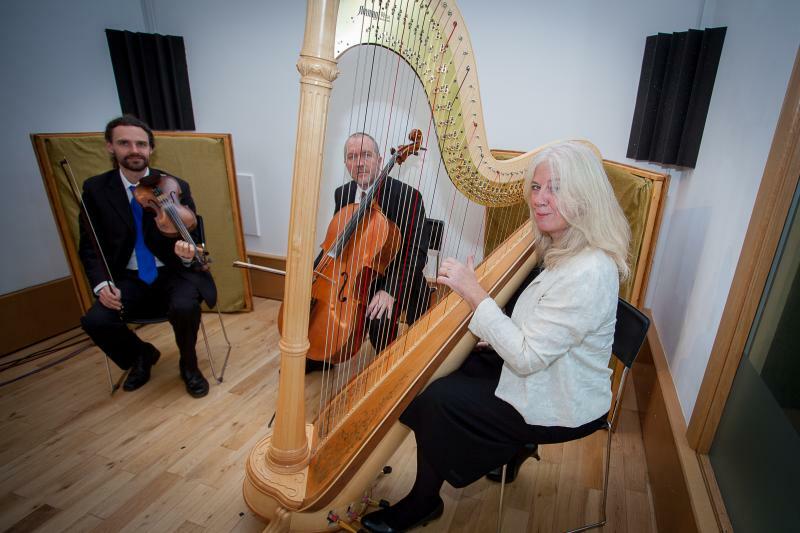 Harp music covers all styles so we can ensure the perfect repertoire for your event. We can also arrange pieces especially for you to include personal favourites. We provide you with exceptional music wherever and whenever you need a harpist. Thank you for making our wedding day truly special, the music you played was beautiful and so many guests commented on it ! Thank you for the beautiful music you provided for our wedding. 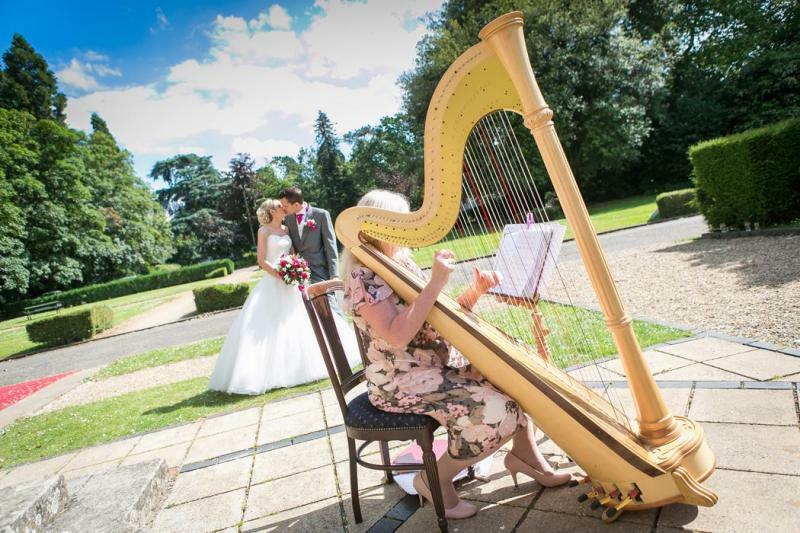 The harp was such a wonderful accompaniment to what as a lovely day for us both, and so enjoyed by all our guests. 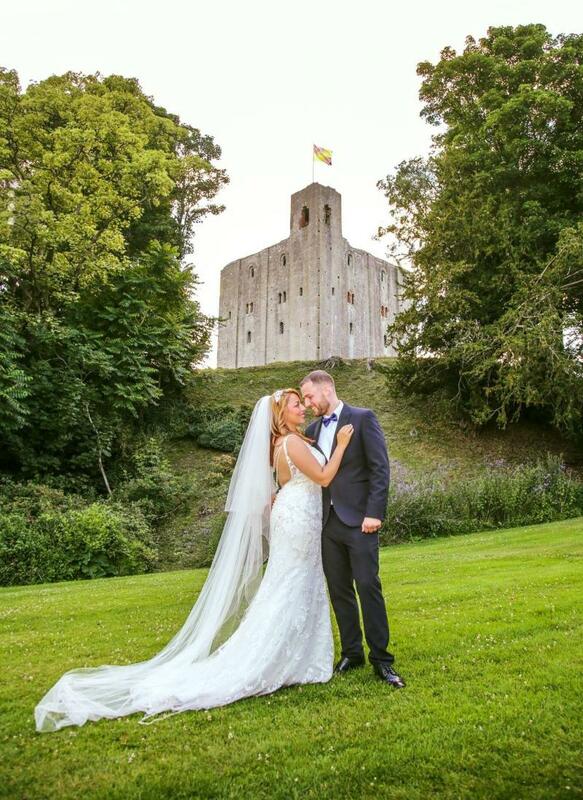 We are delighted to be recommended suppliers at beautiful Castle Hedingham. The harp has the flexibility to fit into any setting from an historic Ball Room to a modern space. Harp music has a resonance which enables the music to travel effortlessly without amplification. We can perform in castles, courtyards, conferences, boats, cathedrals and cafes - pretty much anywhere in fact.